Rated "LA's Best Wedding Limo Company"
Request A Quick & Easy Quote Now! If you’re looking for the best Wedding Limo Company in Los Angeles then you have come to the right place. Los Angeles Limousine Service has been serving the brides and grooms of LA for over 12 Years! Finding a Wedding Limousine Service in Los Angeles is no easy task, which is why we at LA Limo provide quality, trusted, and affordable services to our clients! Your bachelorette party will be a night to remember if you choose LA Limos to service your event! Our company has been rated #1 in over 20 directories, which is why we provide the best Bachelorette party limo rental in Los Angeles! Don’t wait, ride in lavish luxury today! Your bachelor party should be on of the most memorable days of your life! Don’t let an inexperienced transportation company ruin your big day. If your looking for the best then make sure to call LA Limo Service to provide quality transportation service for you and your friends! We will provide you and your guests with the best Bachelor Party Limo in Los Angeles! Have you ever wanted to get behind the wheel of that beautiful Lamborghini or Ferrari? How about pulling up to your reception in a sleek exotic! LA Limo provides hourly Exotic rentals in Los Angeles so you and your bride can pull up in style! You can use these vehicles for your wedding photos, reception, or even to get to your ceremony on time! Welcome to Los Angeles Limousine Services, your ultimate source for renting the hottest, most luxurious stretch limos available on the market! Our company has been in service for over 12 years and we are proud to say that we have been rated LA’s best transportation service since 2008! We provide transportation for almost all occasions and events but unlike any other company we focus our energy on providing the best Wedding Limousine Service in Los Angeles which is why are fleet is filled with specific vehicles which are updated on a yearly basis to ensure quality and luxury! If you’re looking for the best limo service in Los Angeles than look no further. We make renting a stunning stretch for your big event hassle free by providing top-notch vehicles, extremely experienced drivers, and luxurious amenities all at an affordable price! We provide our clients with a very diverse fleet of cars ranging from standard stretch limos to exotic and luxurious limousines. If you’re looking for a stunning vehicle for your next event you have come to the right place. Check out our Rolls Royce Phantom limo in Los Angeles! This popular stretch limo has become a favorite upon wedding couples! Looking for a show-stopping vehicle? With a fleet like our choosing a vehicle is easy! 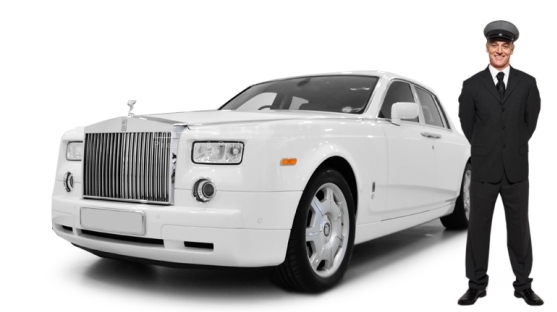 Check out our Maybach Limousine, Rolls Royce Ghost, Rolls Royce Phantom sedan, Hummer Stretch Limo, Caddilac Escalade Limousine, Range Rover Limo, G-Wagon Stretch Limousine, Mercedes s550 Stretch, and more.Call us today to speak to one of our extremely professional and courteous representatives who will help you customize the perfect transportation package you desire. Here is what our clients have to say about our Wedding Limousine Services! Truly Made Our Important Day Phenomenal!